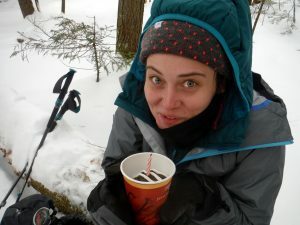 We took the lovely young woman pictured in the photo on a custom snowshoe adventure today! 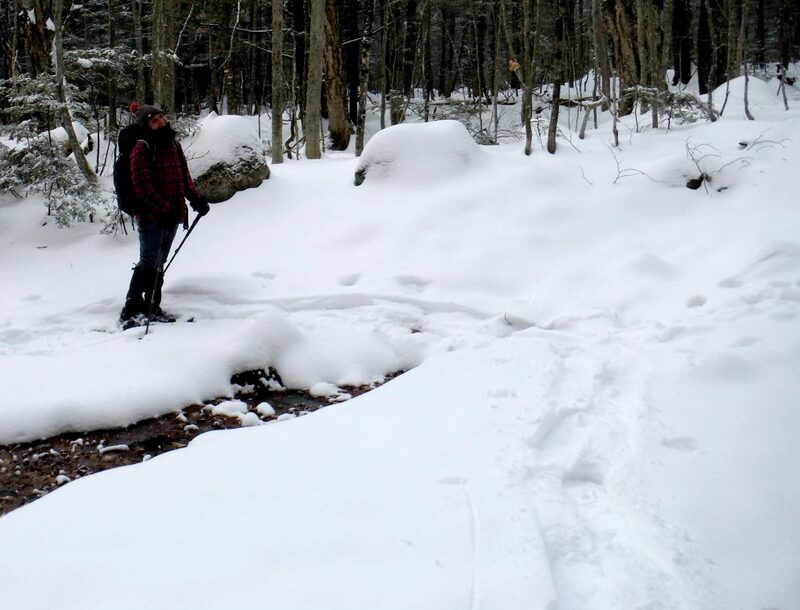 Our client, Kaleigh, was having a birthday and decided to hire us for a snowshoe tour leading to someplace special above treeline… someplace cool. 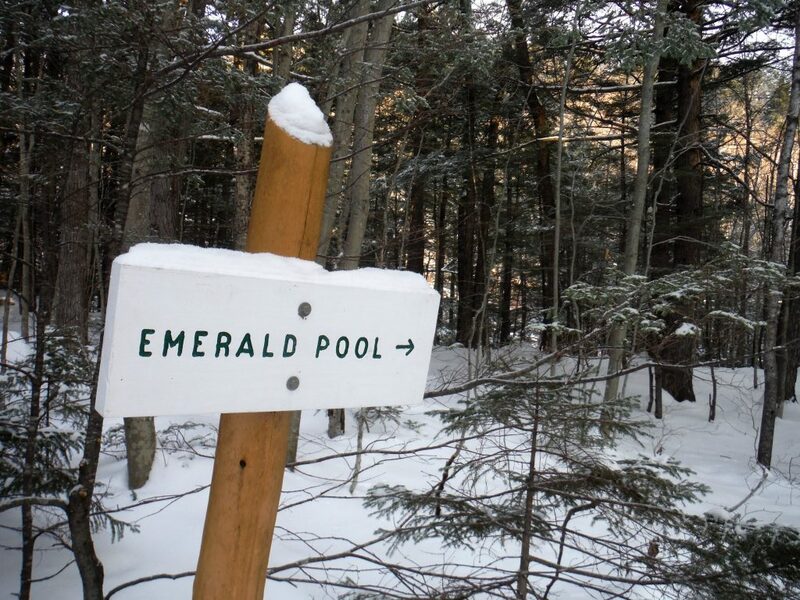 We chose the 3570′ South Baldface — one of the jewels of Evan’s Notch. From the summit we planned to either head to the 3610′ North Baldface then across to and out via Bicknell Ridge Trail, or via Baldface Knob (a destination unto itself) and out Slippery Brook Trail. This was our “Plan B” — just in case we wanted/needed to shorten up the day. 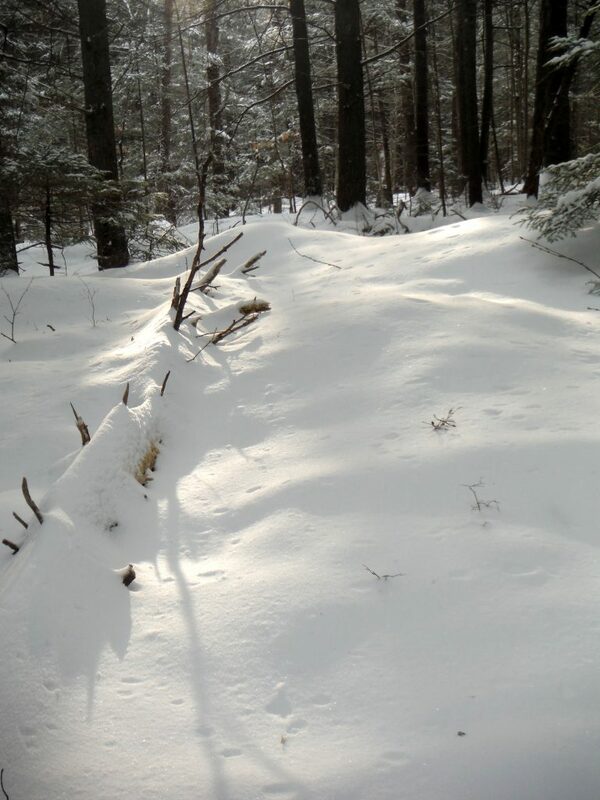 We had rope, crampons, snowshoes… we were ready for a steep climb once we passed the shelter. In fact, we were ready for anything. Anything, that is, except for a at-one-point-concerning bout of illness. This, unfortunately knocked our client out of the running. She called off the adventure less than a mile in. We took a break, and with cupcake, candle and song, helped her celebrate her birthday — which was the reason for this hike. Next time, Kaleigh! The snowshoeing is terrific, but Kaleigh is feeling quite ill.
We are off to see the Wizard… no, sadly our adventure ends here due to illness. In the early sun the snow glistens. It’s peaceful. Beautiful. Fun things to do in winter are all around us. 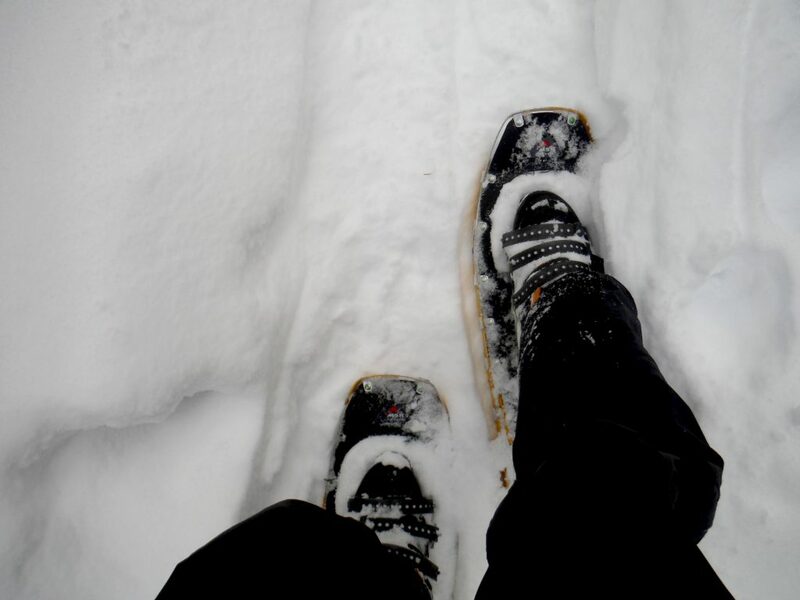 Snowshoeing is but one. Photos and story conveyed with permission. Thank you, Kaleigh. And thank you for choosing Redline Guiding. Next time!